High-quality preparation of walls for various finishing works consists in receiving an equal, smooth surface. To do this, you must correctly perform priming and puttying. Puttying is not a difficult task. 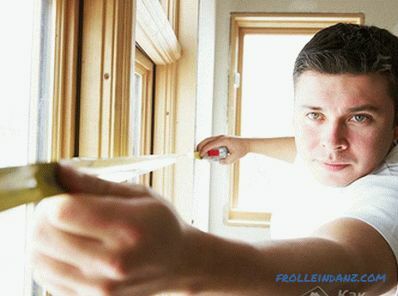 Here the main thing is to follow the procedure and be able to properly handle the construction tool. 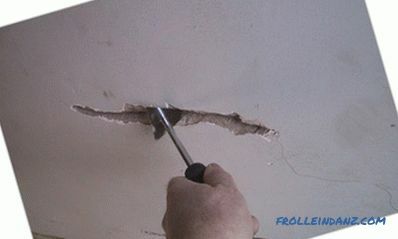 How to putty the walls yourself without resorting to the help of specialists, we will consider in this article. 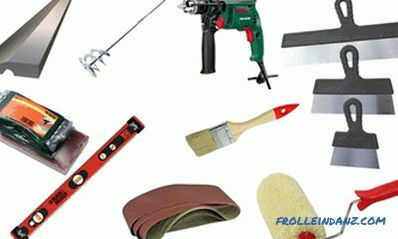 To put up walls yourself, prepare a minimum set of tools. What tools can you do without? 1. A drill equipped with a special nozzle - a mixer. As a rule, putty is sold as a dry mix. Water is added to this mixture in a certain proportion. Only a special mixer, you can perfectly mix the putty mixture. At the exit should get a uniform putty without lumps. 2. A set of spatulas. Be sure to pick up a spatula of different sizes. In your work, you will have to use both large spatulas (40-50 cm) and very small ones. After all, in troubled places that are difficult to reach, it will not be possible to properly fill the wall with a large trowel. Just for this and apply a small spatula. 3. Rollers and brushes for priming walls. The priming stage is undesirable to skip. 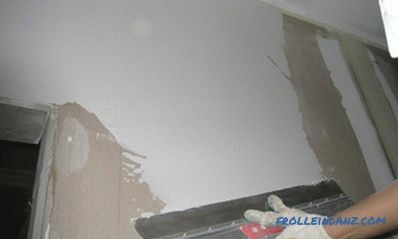 After priming the wall is covered with a thin film. This not only additionally increases its strength, but also provides excellent adhesion of the treated wall with any facing materials (adhesion). 4. Rule. It will be necessary in the case of uneven walls when you have to putty putty in a thick layer. For leveling thick layers of putty it is convenient to use a long metal rule. 5. Alcohol or laser level. Often the surface of the wall is very uneven. Before starting the starting putty, install test beacons using an alcohol or laser level to check. 6. Sandpaper. If you want to get a beautiful surface that is nice to look at, use small skins for mashing. For example, the grout of the 240th sandpaper will allow you to get the perfect result. Use the finest sandpaper only when performing a finishing putty. And at the stage of starting the initial putty correctly rub the wall with coarse coarse sandpaper. 7. Hand skinner. Grinding the skin will be much more convenient if you use a hand skinner. This is a tool, on the handle of which special clamps are installed to secure the pelt. 8. And, of course, one cannot do without a container in which the putty is stirred. Classification of putty by composition: gypsum, polymeric (acrylic) and cement. Consider their disadvantages and merits. 1. Gypsum plastering is attractive at an inexpensive price, perfectly leveled, does not shrink. The only drawback can be called poor resistance to moisture. Only this limits the scope of their use. 2. Cement putties have excellent moisture resistance, but have a significant drawback - a high degree of shrinkage. 3. And finally, polymer putty. 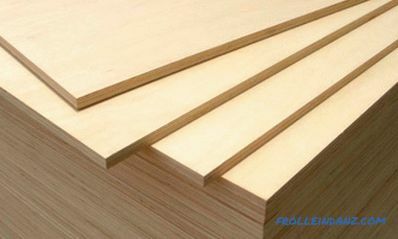 Undoubted advantages: excellent moisture resistance, do not shrink at all. With the help of polymer putty get high quality of the processed surfaces of the walls. The only downside is the high price. By purpose, the putty can be divided into starting (leveling), decorative (finishing) and universal. 1. 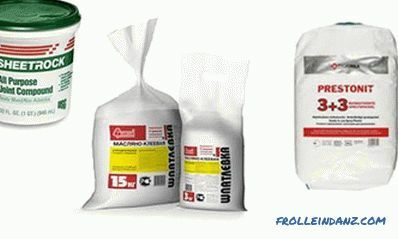 Characterization of leveling (starting) mixtures: high strength, excellent adhesion, high grain size. Recommended: for leveling the walls after applying the plaster. Application thickness: 3-20 mm. 2. For high-quality performance of decorative finishing it is desirable to apply finishing putties on the surface being treated. With their help, you can get a perfectly smooth flat surface, hiding small flaws. The strength of the finishing putty is less than starting, its processing does not cause difficulties. Apply a small layer to 4 mm. 3. Universal putties combine the properties of decorative and leveling compounds. They cost more, although their properties are slightly inferior to the finishing and starting coatings. We recommend to use when processing walls without large flaws. The modern market offers putty dry and ready-to-use putty. Attracts a small cost of dry putty and the possibility of its long-term storage. Ready putty is convenient to use. You do not have to use a mixer to prepare a homogeneous putty mixture. This saves time and virtually no dust.But ready putty are much more expensive than dry ones. Consider: such putties give greater shrinkage. If a layer with a thickness of less than 2 mm is applied, the finished putty cannot be used. Long term storage, they also do not boast. It is significantly less than dry building mixes. Dry in bags, ready to use, in a putty bucket. The main thing is to make sure that the wall surface is absolutely clean. Spots of grease, paint or soot must be removed. Of course, there should not be a falling out layer of plaster, remnants of scale, wax or part of the formwork. Do not even begin to putty frozen frozen ceiling and walls. This is absolutely not recommended. Before you putty, coat the walls with a primer. This will ensure good adhesion (compound) putty solution with the walls. Ground the surface with a special roller. Try to evenly apply a solution of primer, avoiding gaps. One layer is quite enough. There are such types of putty: finishing, lighthouse, starting. Consider in detail the properties and scope. Puttying is performed using coarse starting material. Find it easy. When buying it is called - starting putty. To remove large differences in the walls, to hide the grooves, the holes, it is convenient to use such putty. The thickness of the layer of putty applied at a time can reach 1.5 cm. Allow the previous layers to dry completely. Only then proceed to applying the next layer of putty. 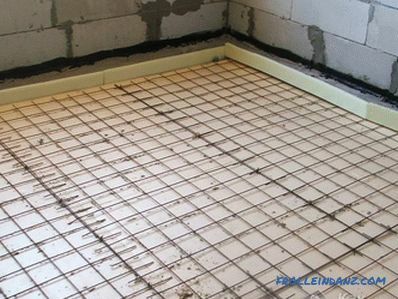 In order to obtain the highest possible quality of the filled surfaces, a special painting grid is installed on the wall, and a putty is distributed on it evenly over the entire surface. At the same time, the walls are completely plastered. The advantage of this technology is that when using a paint mesh, putty perfectly fits on the surface of the walls. Yes, and the surface itself becomes more durable and even. 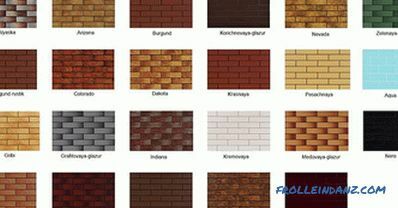 Moreover, the coarser the paint mesh, the smoother the treated surface of the wall. Starting putty for the wall. Materials do not differ from starting putty. The only difference is the use of lighthouses. The lighthouse is a wooden, plaster or metal rail, which is set vertically strictly, checking the level of verticality. The lighthouses are fastened to the walls with the help of some plaster mix, it dries quickly, after which you can proceed directly to puttying. Similarly occurs alignment and horizontal lines. Here in this case, the rule is useful for leveling the layer of putty. 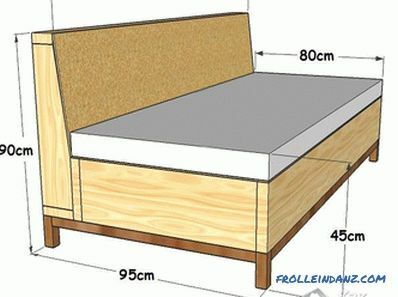 Following these recommendations, after the launch work, a flat surface is obtained. To verify the quality of work, you can check the level. This type of decoration is rarely used. The reason: its cost is much higher than the starting putty, although visually they are almost the same. After finishing the starting or lighthouse putty, proceed to finishing putty. It is done finishing putty mixtures. It is this putty that makes the surfaces of walls perfectly smooth. Tiny cracks or pores are eliminated. It is important that the finishing putty completely coincides on a plane with a previously prepared surface, therefore it is necessary to apply it with a very small layer. If the starting or lighthouse putty is performed poorly, you will not be able to correct the situation with the help of finishing putty. Therefore, first try to make the surface of the walls perfectly smooth. Only then proceed to the finishing putty. Its main goal is a beautiful smooth wall surface. To hide the cracks in the walls we recommend using plaster mixes for puttying. Sanitary material is much more flexible in its work, but it hardens much longer. The advice of competent specialists: at first it is recommended to slightly widen the crack, slightly increase its depth and thickness. To increase the roughness, you can scratch it with a knife or other sharp object along the entire length. Then carefully treat it with a primer. Only after that proceed to the implementation of putty. 1. In case of using dry putty, it is necessary to properly prepare putty mixture. to obtain a homogeneous mixture, use a drill with a mixer, if necessary, gradually adding water. Please note: the readiness of the putty should be determined by its consistency. It should be elastic and slightly stick to the spatula. If the putty mixture drains, then it is watery. Gradually add dry mix to correct the situation. If there is lumps in the putty, it means that the putty is too dry. Gradually add water, stirring carefully to achieve perfect uniformity. 2. Apply starting putty. It is convenient to use a large spatula. Apply the putty in medium portions, spreading it evenly over the surface. Hold the spatula at an angle of about 30 degrees. Putty is applied diagonally with a single movement. Recommendation: to avoid transitions and bumps, each next layer should be overlapped. Attention: when performing the starting layer, mix the putty in small portions. This will avoid the appearance of dried, dry particles that will reduce the quality of work. Do not be alarmed when ugly strips from the spatula appear. The bands perfectly hide the finishing putty. 3. For handling even corners we recommend using an angular spatula. Work technology: at first we apply a small layer of putty over the entire height of the corner or slope with a small trowel. Then gently align the surface with an angular spatula. During the day a layer of putty should dry well. For filling the corners you will need a special angular spatula. 4. Once the starting putty has completely dried, proceed to finish the putty. To work using a large and small spatula. On a large spatula with a small spatula in small portions impose a putty. Then evenly put the putty mixture on the surface. The thickness of the layer is about 1.5 - 2 mm. 5. Before filling the wall for painting or wallpaper, wait until the previous layers are completely dry. The starting and first layer of the finishing putty must be completely dry. It takes about 12 hours approximately. Then you can put the finish putty. 6. After complete drying, proceed to the final sanding with sandpaper. Attention: Before applying each subsequent layer of putty, preferably the previous one should be treated with a primer. The walls are pre-aligned with several layers of putty. If the wallpaper is thick, it is desirable to putty in two layers. When using thin wallpaper, we recommend applying three leveling layers of putty. This allows you to stick the wallpaper on a flat surface without wrinkles and bubbles. More thorough preparation requires the finishing of the walls with paint. The paint does not hide even the slightest unevenness. 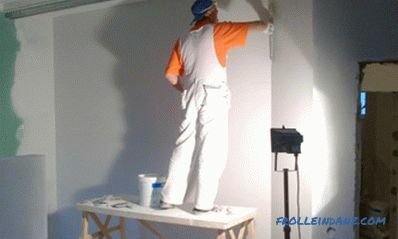 Therefore, to align the walls, it is necessary to apply a finishing putty. after completely drying, rub the wall with sandpaper to get a perfectly smooth surface.